This may be the most arrogant move in a Presidency already plagued with an over-abundance of haughtiness . Today President Obama nominated former State Department spokeswoman Victoria Nuland to be the department’s top diplomat for Europe and Eurasia. 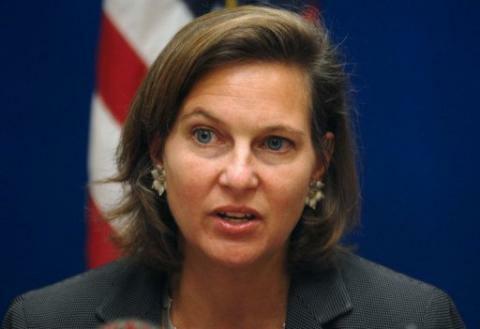 Ms. Nuland has been in the news a lot lately, she was the person in the State Department behind taking out the truth in those Benghazi talking points. The internal documents released by the White House last week showed Nuland concerns about blaming the Benghazi attack on the al Qaeda-linked terrorists already proven to behind the Attack. Her rationale was she had “serious concerns” about lawmakers “making assertions to the media that we ourselves are not making because we don’t want to prejudice the investigation.” Her contention ignored the fact the FBI had already approved blaming the attack on the terrorists. Benghazi prior to the attack. “could be abused by Members to beat the State Department for not paying attention to Agency warnings so why do we want to feed that either? Until we have a full understanding of why the American people were deceived and why Ms Nuland participated in that deception, Victoria Nuland should not be rewarded with a promotion. Then again, this has been a president who rarely gives a damn what the public think.